It’s that time again!!!!! For those of you who have been following my blog for a while you know how much I love the month of September!! Not only is it my birthday month but the first day marks my personal kick off to fall!!! And what a season it’s going to be!!! 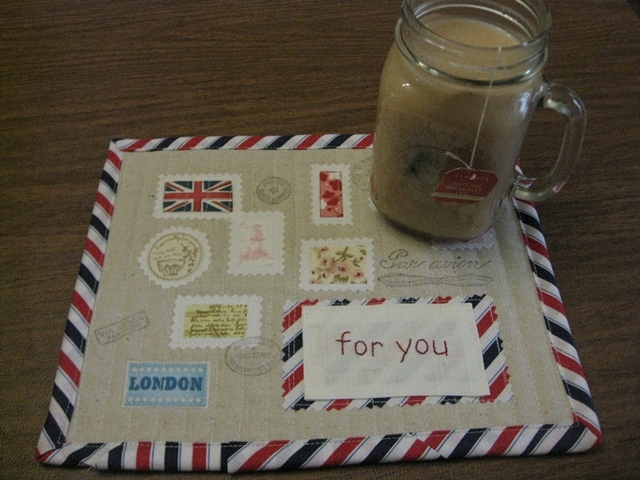 Airmail Mug Rug – COMPLETE!! And why make one when you can make 2!! This first is, as clearly written, for Carolyn! Hopefully she won’t be reading this until it’s been gifted! 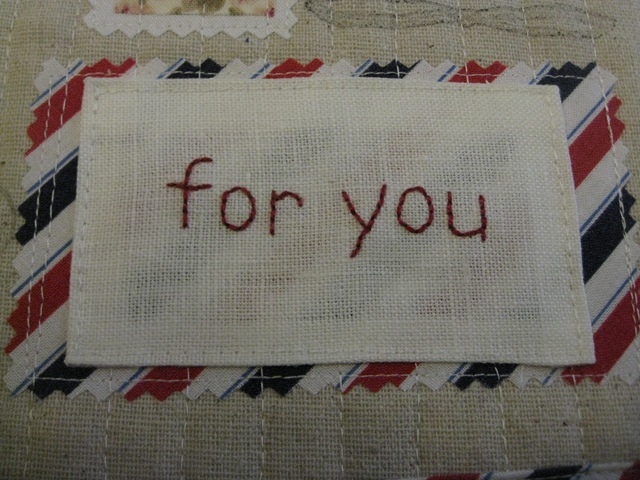 The second is for me, although it says you…. I can’t even tell you how much fun these were to make! Every part was something a little new, interesting and special! 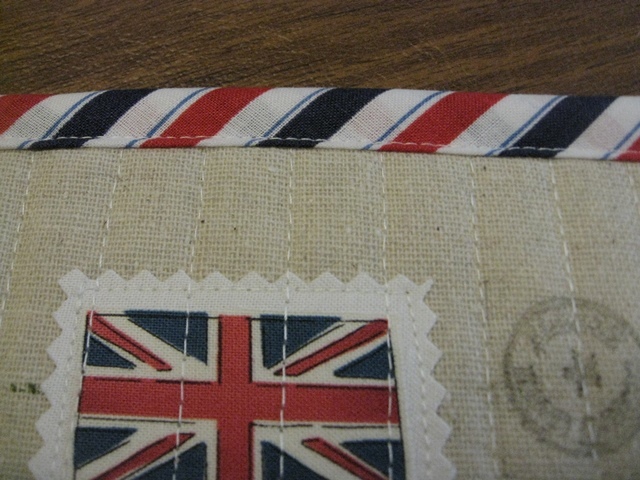 As I said at the end of my last post I would be tackling continuous bias binding. What an adventure (headache) that was. As you can see in the bottom left corner of my rug I had a tiny malfunction but it’s for me and I can live with it. After much consulting with friends, online tutorials and books I was able to do it. The funny part was, I was totally successful on my first attempt but then I tried to make more and I was completely stumped. I have no idea what happened but I just couldn’t get it to work. 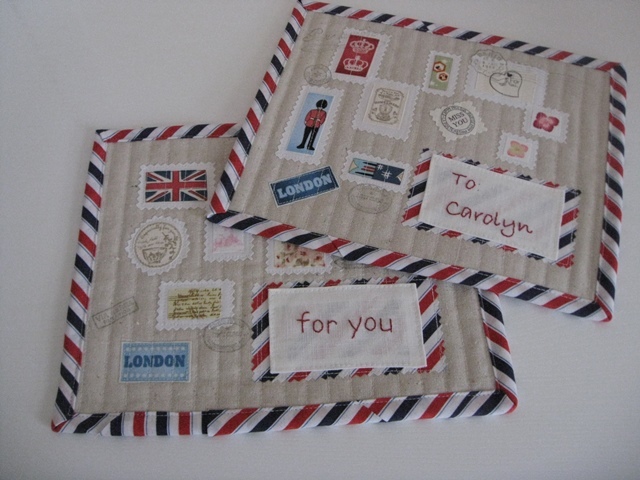 That said I used The Better Homes and Gardens Complete Guide To Quilting (book), one, two, three online tutorials. Would I say a job well done, sort of. I need a bit more practice before I can say complete success! 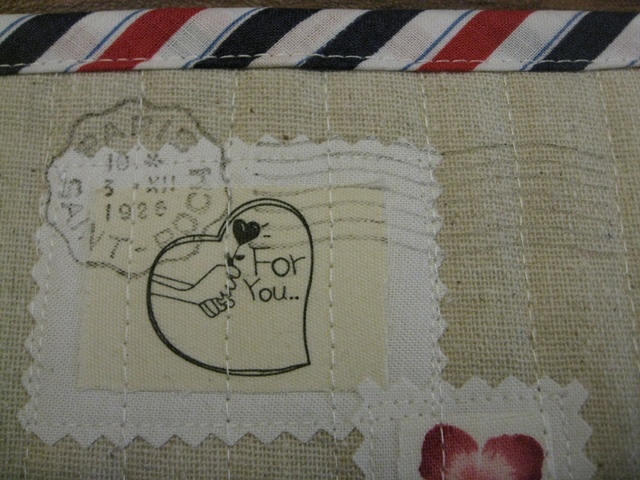 The binding was worth the headache though. 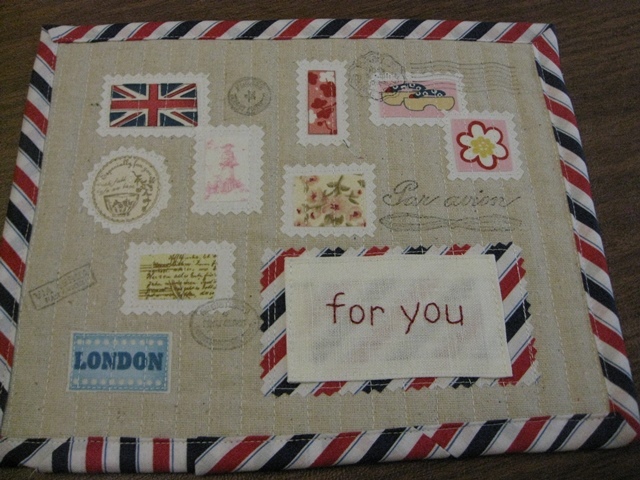 Anyone remember the old airmail envelopes? I used to love seeing them in my mail box as a child. 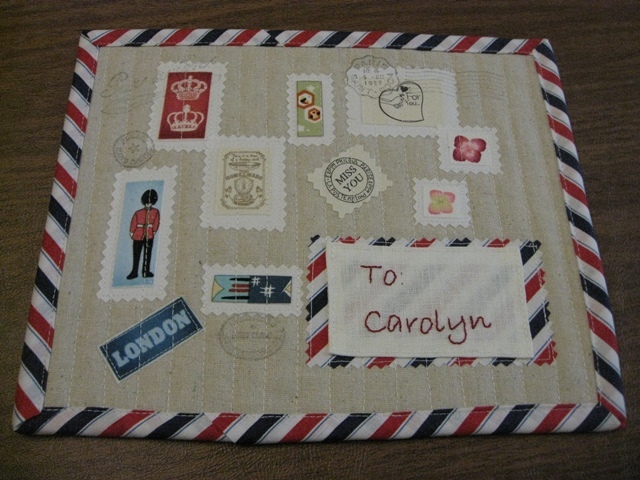 I also cut the frame for the mailing label on the bias….love the effect! 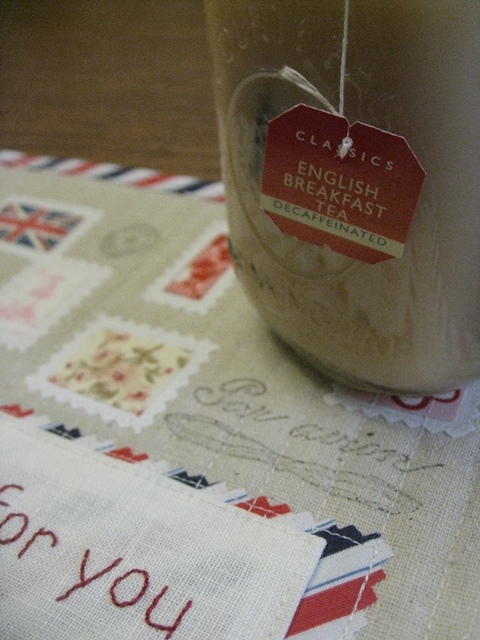 My other favorite part of these mug rugs the stamps. 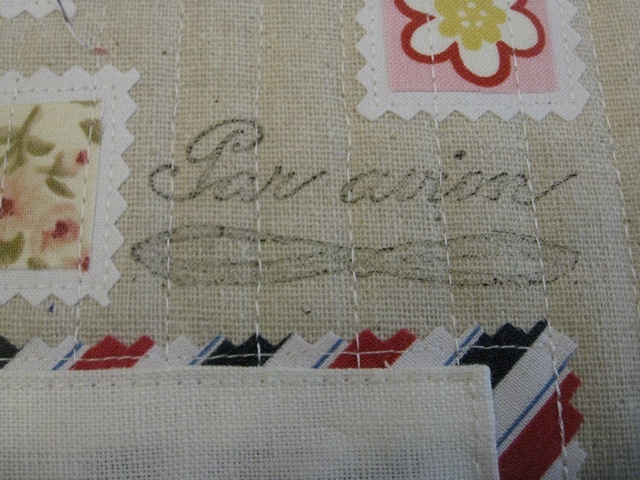 I was able to find the exact bundle of airmail themed rubber stamps that were used in the book. Aside from wishing they were a bit darker (I leaned on the side of caution for fear of over-inking, smudging, etc.) they came out perfect! Great start don’t you think? These are wonderful! I have a great rubber stamp you might like. It says “junk mail” and has a junk (boat) on it. I’ll post a picture of it on FB. They turned out wonderfully! Kudos to you again, my dear! I can’t believe I haven’t seen these until now. They are fabulous! I love everything about them…..great job once again, my friend!